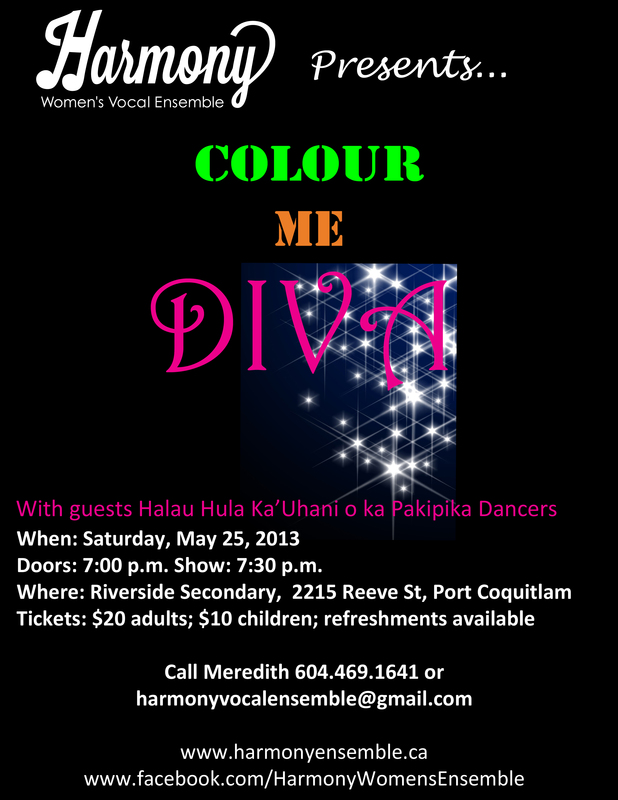 As we put the finishing touches on our repertoire over the coming weeks, we are so excited to share our Well-Seasoned concert with all of you! 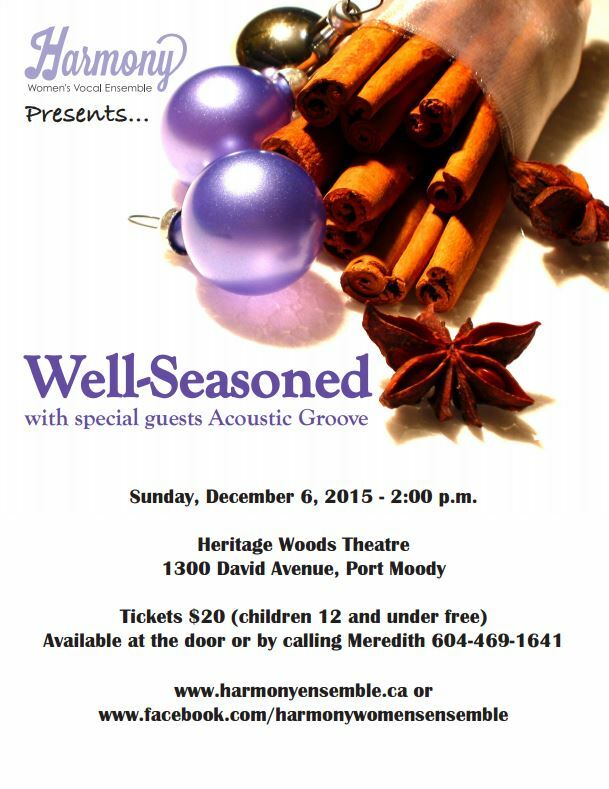 Join us on Sunday, December 8th at 2:30 p.m. for “A New Day” in concert with Choral Connections. 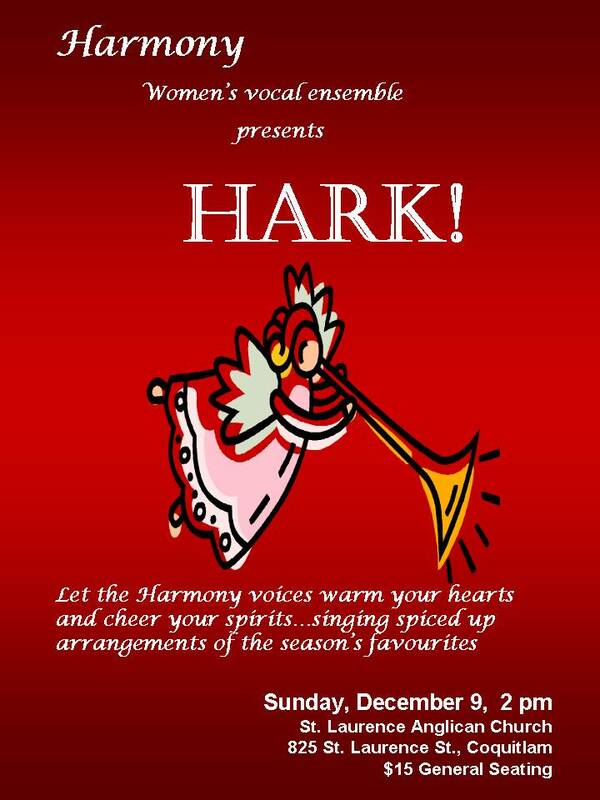 Join us on December 9th for Hark! Can you believe it, Halloween is already over and it’s time to start thinking about that other holiday that is just looming around the corner! If you’re not quite in the spirit yet (and why should you be, it’s only November 1st for Pete’s sake! ), we’ll be singing with the Inlet Jazz Band tomorrow night – performing some of your favourite big band standards and raising money for a good cause. 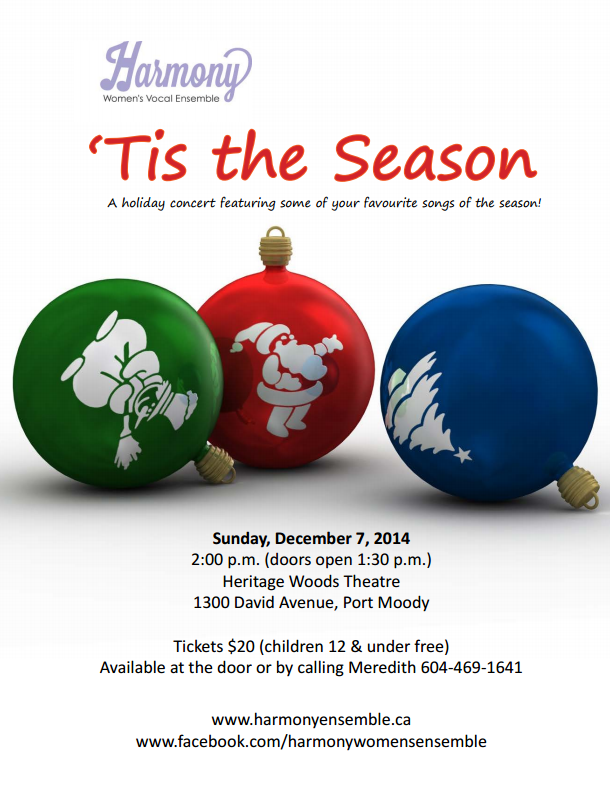 And we hope you’ll mark December 9th in your calendar for our annual Holiday concert, Hark! 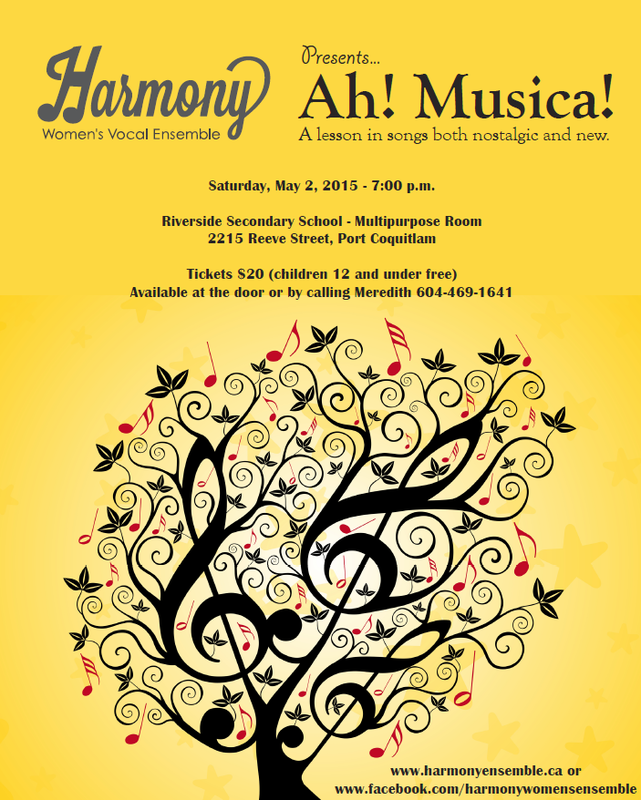 Full details can be found on our Upcoming Concerts page.